Burn out, lack of motivation, and a poor work-life balance are just some of the issues facing today's modern professionals. 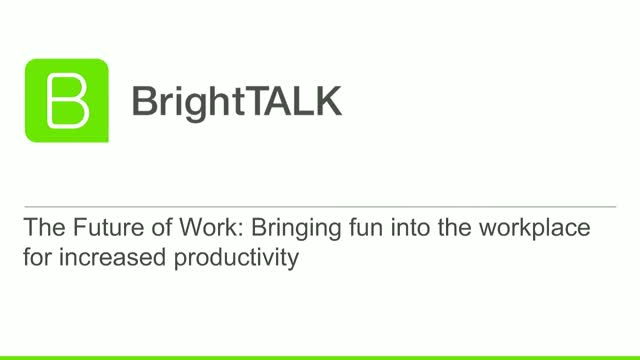 At BrightTALK, a dedicated Fun Committee was created to ensure that each department was given a voice to create a culture of fun and productivity. The results have shown increased eNPS scores, decreased employee turnover, and an overall improved company culture. Whether you're starting your own company, working to improve your current employer's system, or simply want to learn ways to improve your own business as a freelancer, this webinar is for you.